Some of my courses are based on syllabi published by the International Software Product Management Association (ISPMA), meaning there is an optional certification. For live courses, the test is usually given at the end of the last day. 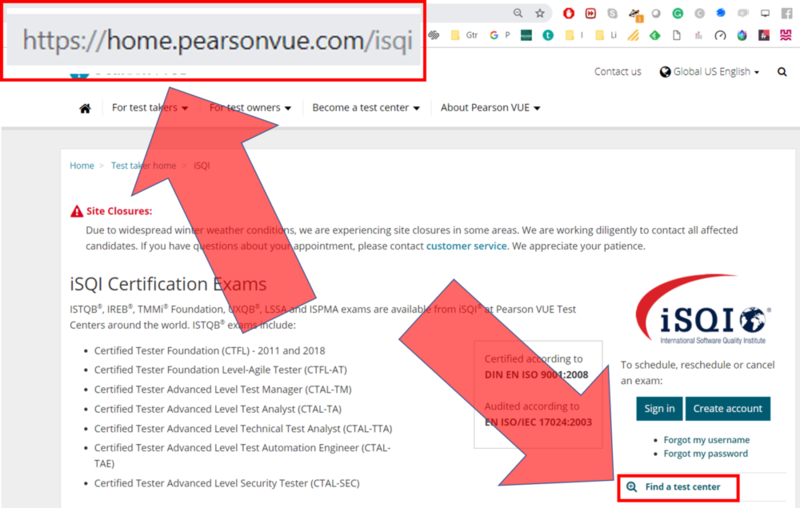 It is possible to take ISPMA certification tests at a Pearson Vue center near where you live. Please click the "Find a Test Center" link on the right side of this page for details (see image at bottom of this page). Certification is offered by an independent 3rd party. The cost is usually around €250 (excluding applicable taxes like VAT). If you attend a "live" training, the certification cost is included in the course invoice if you choose to become certified.